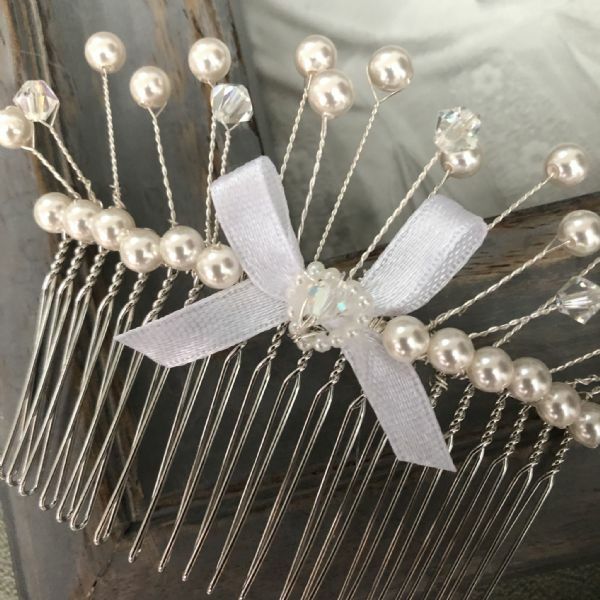 Our gorgeous handmade designer crystal & pearl hair comb is shown here in silver plated wire with clear (ab) swarovski crystals and white swarovski crystal pearls with a white satin ribbon bow with white pearl heart detail and swarovski crystal. The perfect hair accessory for a little girl to wear on her special day. 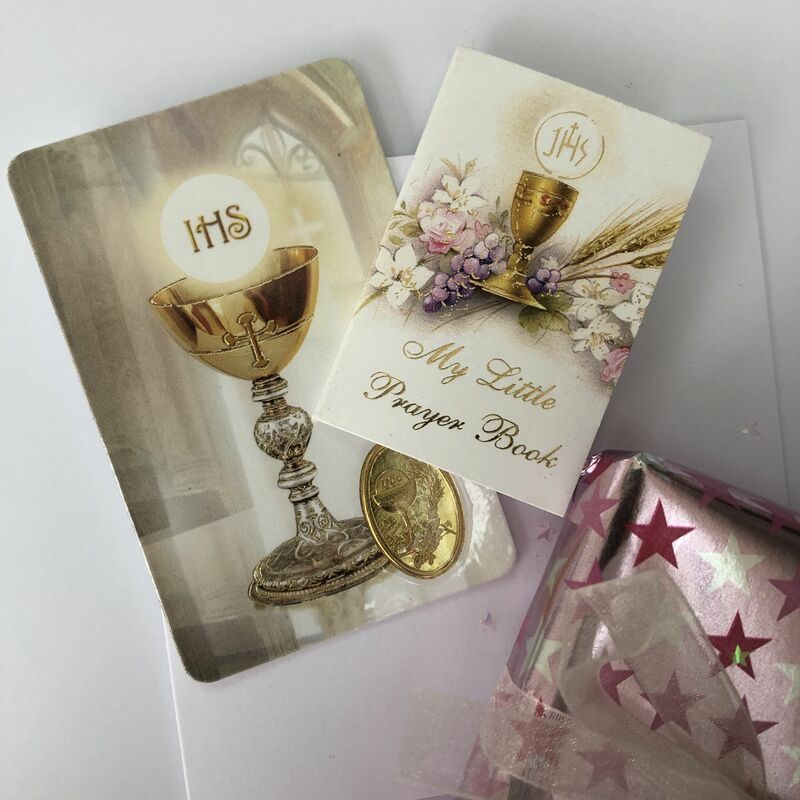 It can be designed for you with your choice of crystals and / or pearls - it is shown with a mix of clear swarovski crystals and white swarovski crystal pearls or we can design it for you with just pearls or just clear crystals. 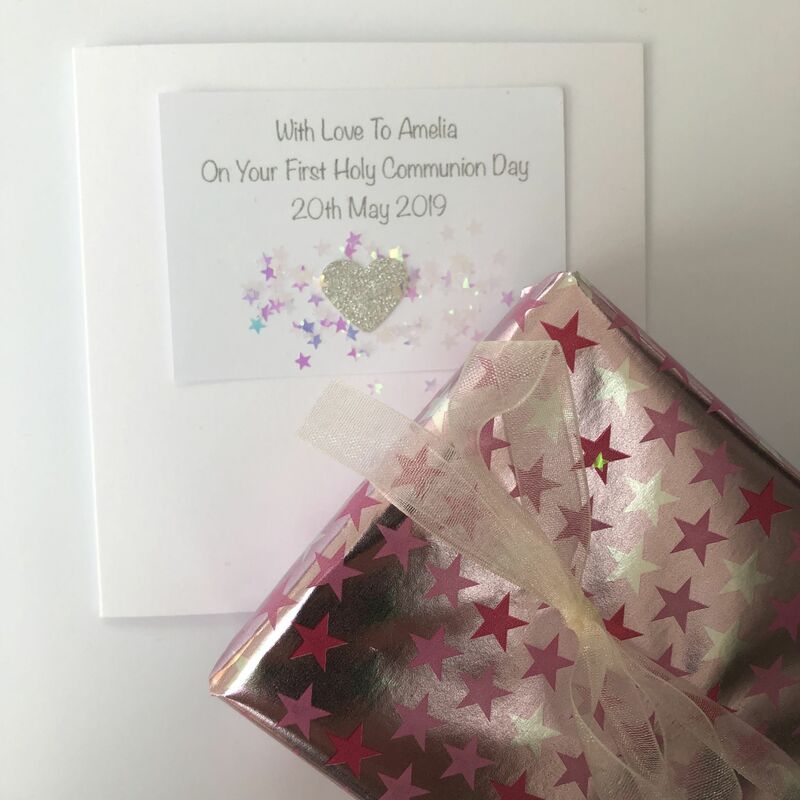 Perfect for wearing in front of a Holy Communion veil. The silver plated hair comb is approx 8cm width. Also available in approx 4cm width. Crystal & pearl strands measure approx 3cm height (can be made in other heights).